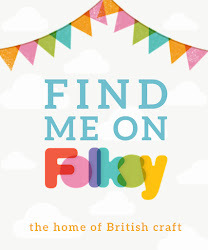 I was really flattered when Mandy asked if I'd like to be a Guest Designer over at Let's Craft and Create for the 'Anything But A Card' challenge. 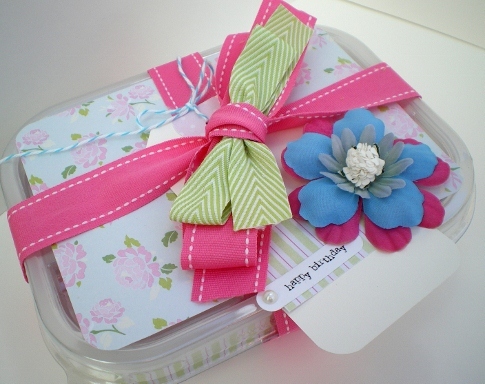 I’ve ‘upcycled’ a plastic container to make a birthday gift box and filled it with some simple card making supplies. 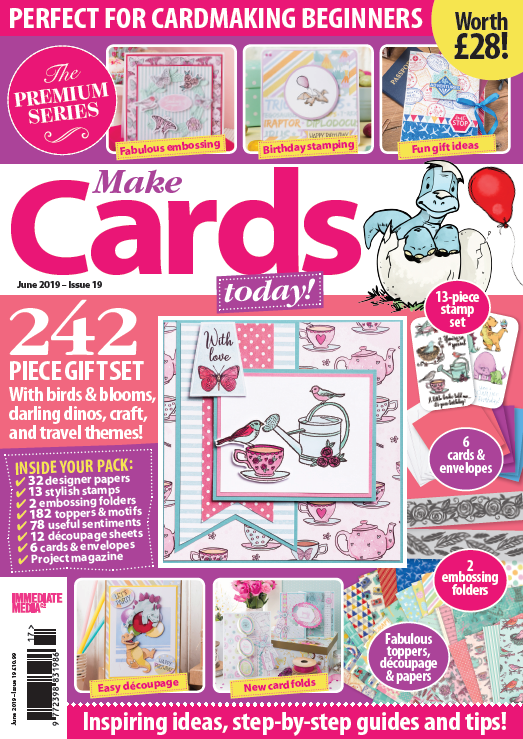 A great pressie for a newbie card maker. 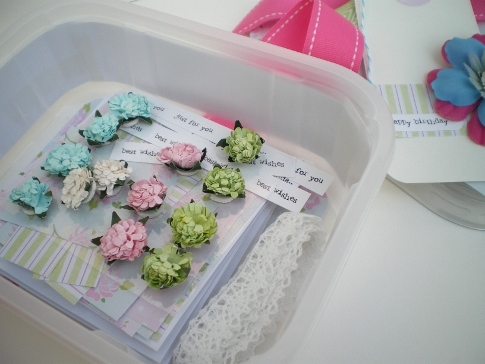 I've included small square card blanks, designer papers and sentiments - Pink Petticoat of course :), flowers and lace. It's the sort of present I wish I'd been given when I started out, it would have saved me a lot of card disasters! A gorgeous make and I too wish I had received this little kit when I was a newbie!! (not that I would say "no" even now LOL!!!). This really is a fab idea Vicky. I know some ladies who would really appreciate a gift like this. Thank you so much for agreeing to be our Guest Designer, it's really nice to be able to show case your wonderful idea on our blog. 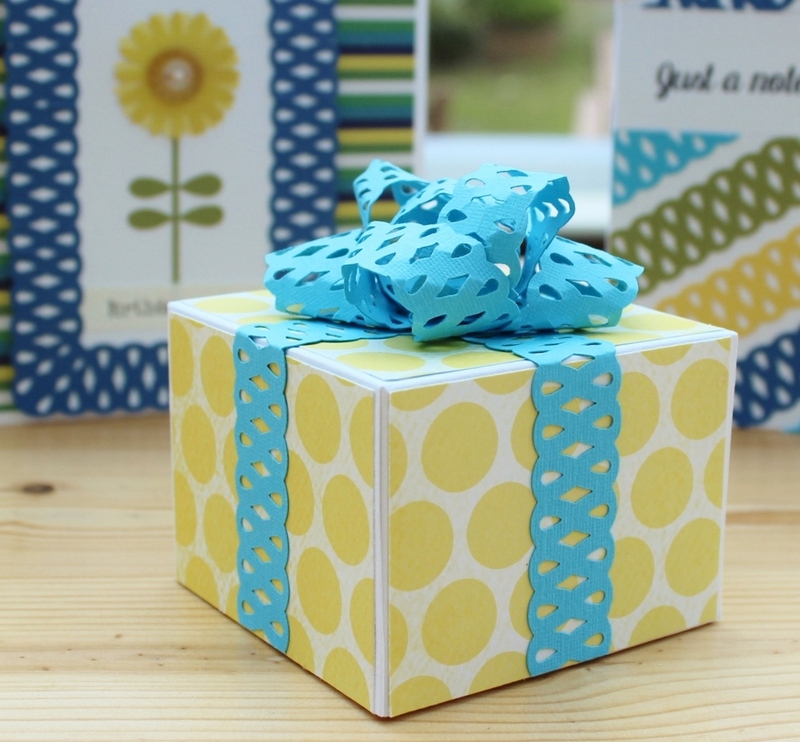 How gorgeous is this gift idea - perfect for any crafter not just the newbie! Congrats on the Guest Designer Spot too. 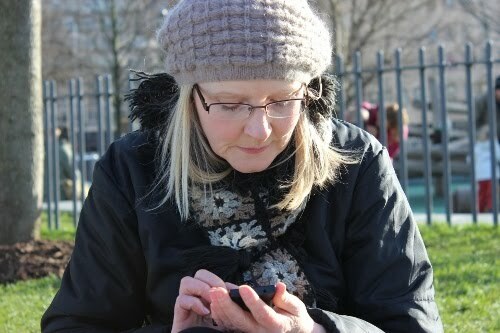 What a gorgeous project Vicky! I too wish I had something like that when I first began cardmaking. My original cards were plain awful when I think about it!